Horizon Chase Turbo, a followup to the smartphone-only Horizon Chase: World Tour, will launch for PlayStation 4 via the PlayStation Store and PC via Steam in spring 2018, developer Aquiris announced. The game, “a lovingly crafted throwback to the high-octane arcade racers of decades past,” is playable at PlayStation Experience 2017 in Anaheim, California this weekend. 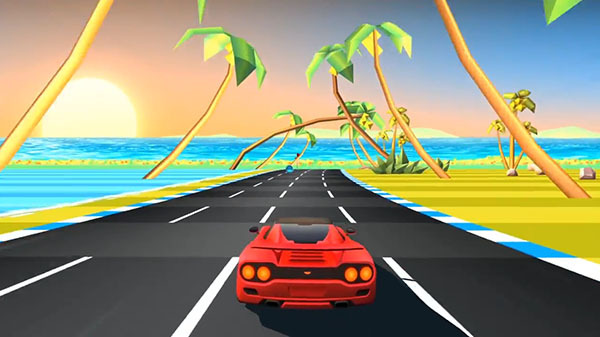 Horizon Chase Turbo delivers neck-break speed, original gameplay, tight controls, new features and content designed specifically to highlight the nostalgic feel of classic racers on next-generation technology. The game marks a resurgence of couch co-op, where up to four players can compete in multiplayer campaigns, intense tournaments and endurance trials as they race around the globe. More details on game modes and locations will be announced in early 2018.